Be sure to follow us on Facebook, Instagram and YouTube for periodic looks back at the life of Piper. Our Shop is Back Up! Thanks for your patience, our shop is back up. We have patches, decals, hats, and a new Piper Emoji sticker if you’d like to support our team. Click the button below to see what’s available. It seems K-9 Piper found a couple friends on Reddit who posted this and that and the internet has gone crazy! We even did an AMA! CBS Evening News! Check out the full article here! K-9 Piper’s function is to increase safety by responding directly to reports of wildlife and conducting regular patrols. 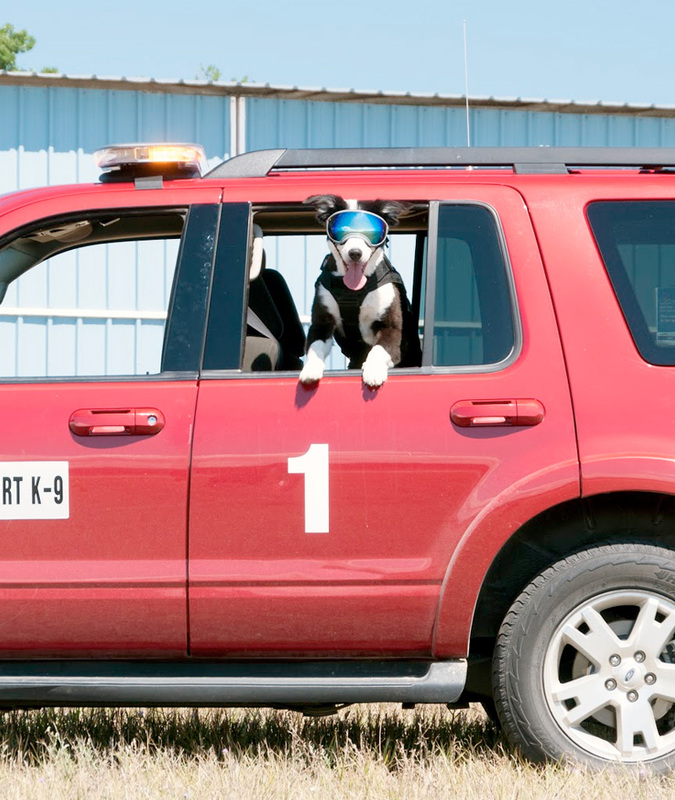 He spends most of his time chasing birds and other wildlife away from the runways and taxiways. 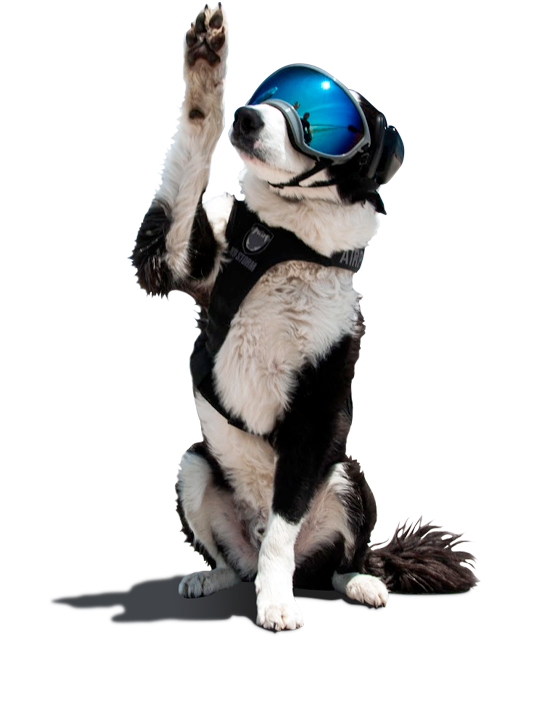 Border Collies are perfect for this type of work because they are natural herders. The Federal Aviation Administration requires the Cherry Capital Airport have a Wildlife Hazard Management Plan in place to mitigate wildlife hazards to aviation. 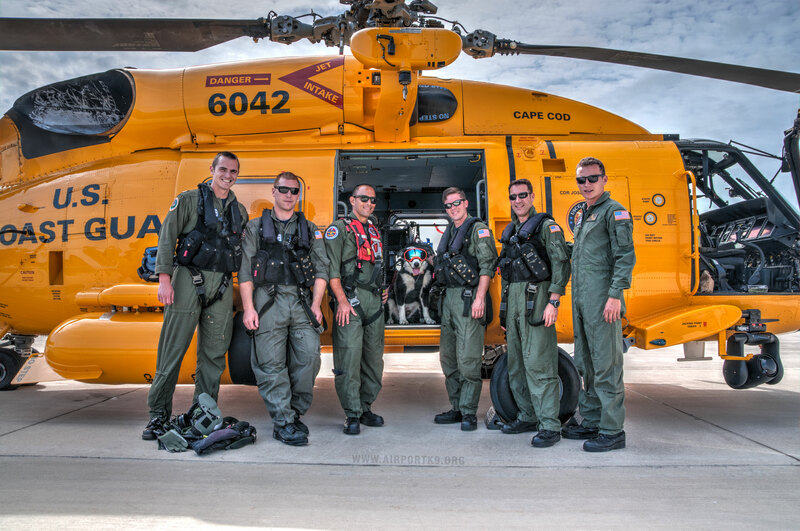 K-9 Piper is a proactive approach to wildlife management and aviation safety. 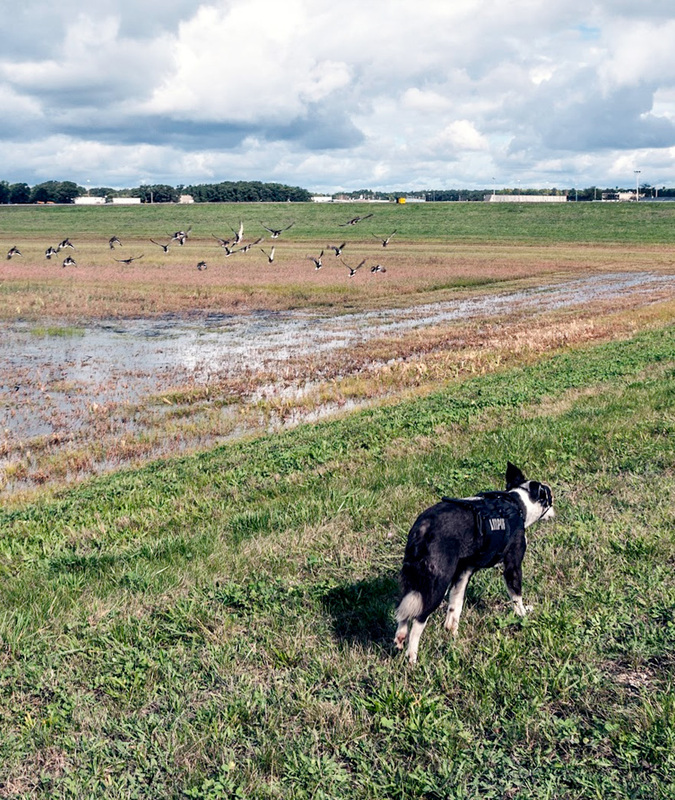 Though rare, dogs are one of the most effective methods of wildlife mitigation at airports. 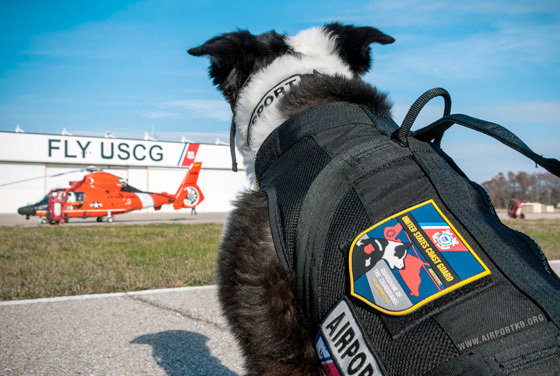 K-9 Piper is one of just a handful of Wildlife Control K-9s on staff at airports in the United States. After receiving a report of wildlife, we proceed to the target area, confirm the identity and number of bogeys and are cleared hot from the control tower. “Ops 1, Fox 3, fur missile away!” It’s like Top Gun every time. During routine patrols, K-9 Piper is tasked with detecting rodents and small mammals. This helps prevent larger predators including fox and birds of prey from hunting (or circling) in the approach/departure path of aircraft. K-9 Piper checks for and alerts to wildlife holes under the perimeter fence. Even more impressive? He can differentiate between new and old holes. 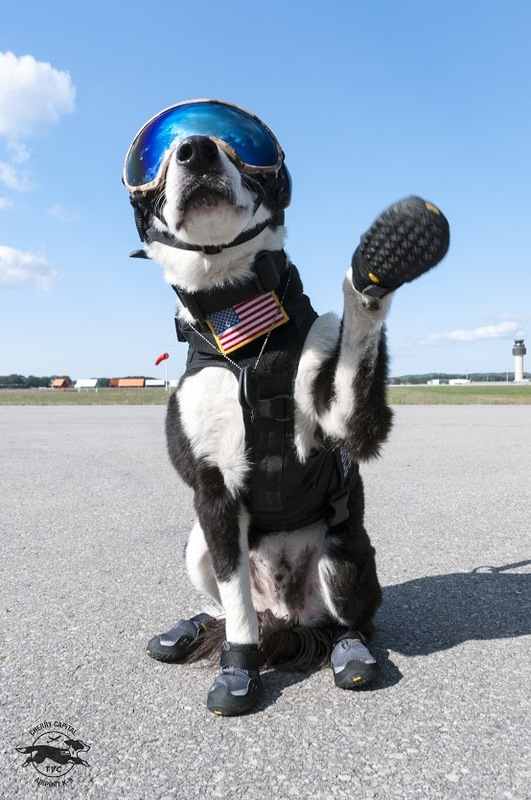 K-9 Piper also serves as the airport’s Chief Morale Officer. As such, he’s responsible for keeping employees, tenants and visitors smiling — and he’s pretty great at that. Hi, my name is Brian Edwards and was the lesser half of the Airport K-9 Team. On behalf of the late K-9 Piper, I want to thank everyone for the overwhelming support. We had a great run while it lasted. I never in my wildest dreams would have thought this crazy idea would take us where it did. Most importantly, thank you to those that have donated or supported us over the years in some way. I want everyone to know how much we appreciated your generosity! What did K-9 Piper do? 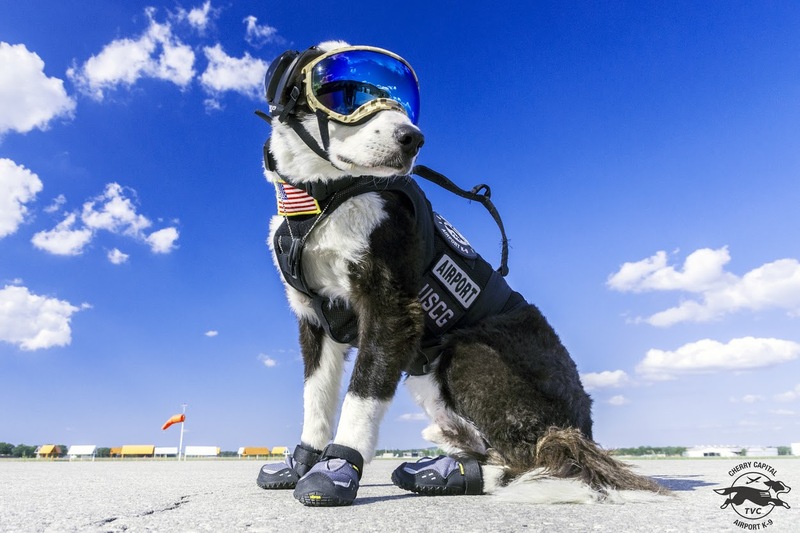 K-9 Piper was tasked with keeping the runways and taxiways free of wildlife. Why? Simple, aircraft and wildlife don’t mix! He responded to reported wildlife and conducted regular patrols throughout the day. Most of K-9 Piper’s training revolved around obedience and off leash control. Chasing wildlife away comes pretty natural to this guy! The rest was on the job training at the airport to get him socialized to aircraft noise. The most important part is we were never done training. Did his paws get hot? Was the airport too loud? K-9 Piper spent most of his time outside on grass, so he didn’t really have to worry about his paws getting too hot. 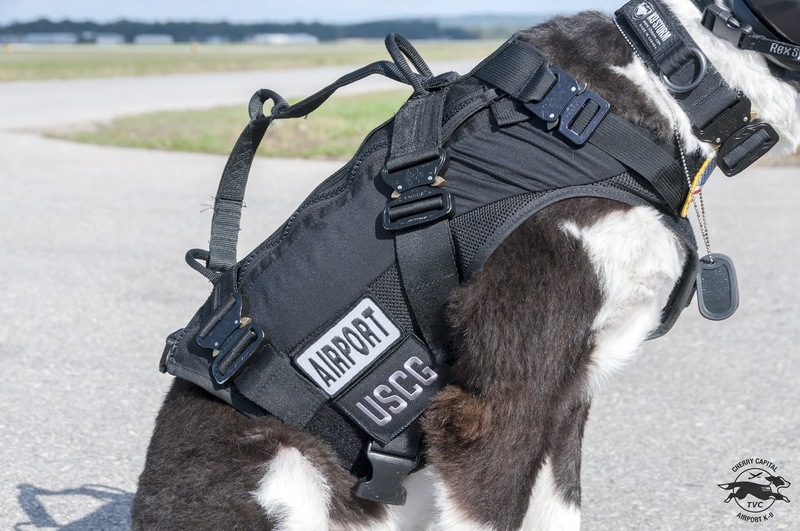 Airports are loud, which is why K-9 Piper wears MuttMuffs when necessary. Learn more about our Equipment here. How often was K-9 Piper on duty? K-9 Piper worked four, ten-hour shifts a week on a rotating basis. Don’t worry, he wasn’t out running around for ten hours straight, he got plenty of breaks! 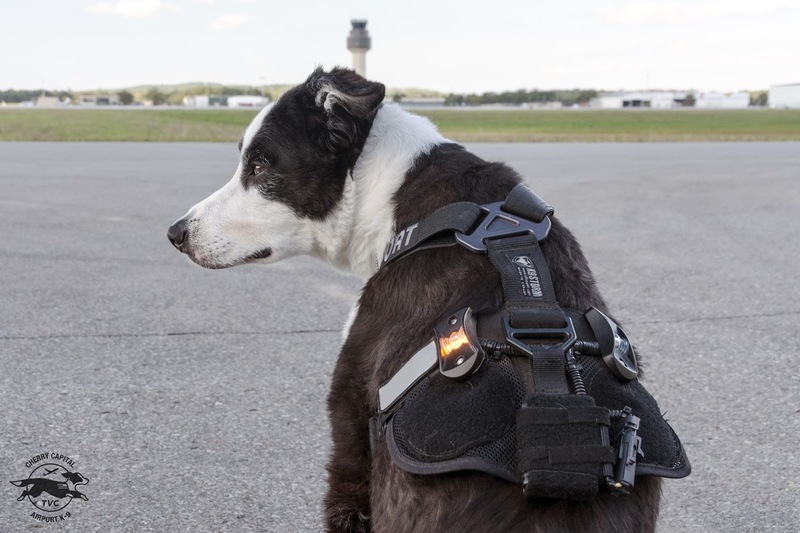 One of the most important pieces of equipment K-9 Piper uses. These are 100% UV protective and act as safety glasses. Helicopters kick up rocks, dust, and sand from their rotor wash and the specs keep his eyes safe. 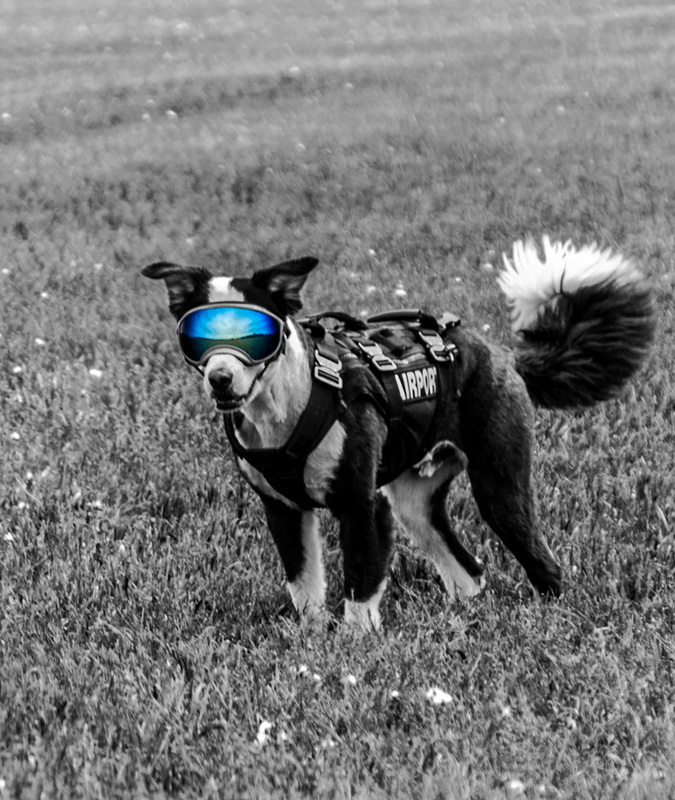 K-9 Piper wears them anytime he is outside, day or night. They are indispensable. Just like human earmuffs, these help prevent dangerously loud sound from damaging K-9 Piper’s ears. Though not designed together, they work perfect with the RexSpecs! Donated by Spike’s K9 Fund, this vest allows us to do a lot of things a collar or smaller harness would not allow. Primarily we use it to lift K-9 Piper into our SUV since we do not have a K-9 vehicle. The harness also provides some abrasion protection and is used for identification. This harness has been heavily modified with a custom beacon rig and is primarily used during hours of darkness, but is bright enough to be seen during the day. We couldn’t find anything bright enough that could be seen during the day made for dogs, so we installed vehicle beacons by SoundOff Signal. It’s the only one of it’s kind and it’s bright! Donated by a Traverse City resident, these boots protect K-9 Piper’s paws from hot pavement, rocks and keeps snow/ice out of his paws in the winter. Donated by the K9 Defender Fund, this K9 Trauma kit (Buddy Bag) rides with us wherever we go collecting dust (hopefully). The kit contains everything we may need to issue critical care should an accident happen. We operate as a fully volunteer-based unit with our operational budget coming solely from generous donations, with all other expenses being out-of-pocket. Insurance is our greatest cost each year — not surprisingly, it’s tough to find insurance for this type of work! 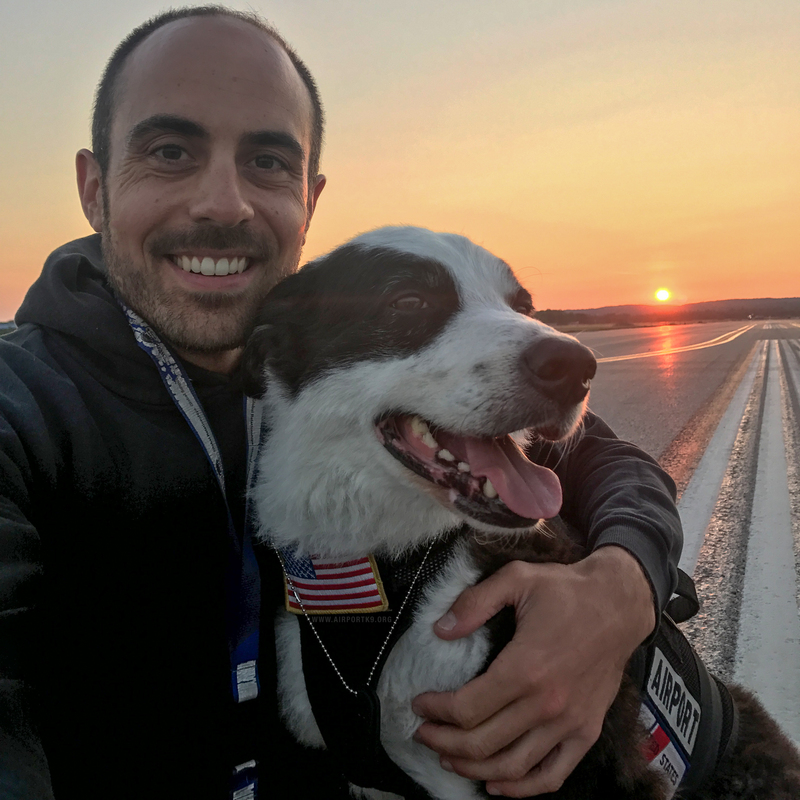 If you find our unit interesting and worthwhile, K-9 Piper and I would be entirely grateful for your donation to help ease the burden of cost. All of the proceeds of the following products support our unit, or you may donate any amount by clicking the Donate Now button below. Made in the USA, this 4″ PVC patch commemorates the 70th anniversary of the Blue Angels. This is a special edition patch with a very limited quantity available. It’s Piper in emoji form! 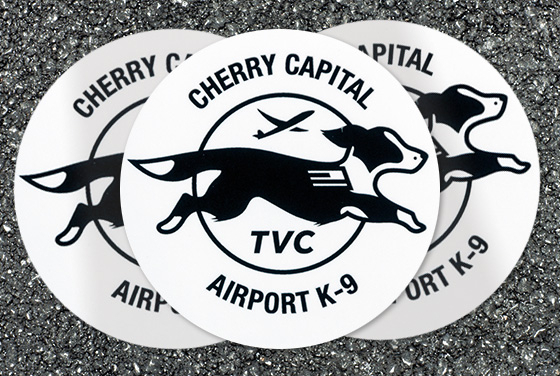 This 3″ decal is made from a durable vinyl with a laminate that protects your stickers from scratching, rain and sunlight. 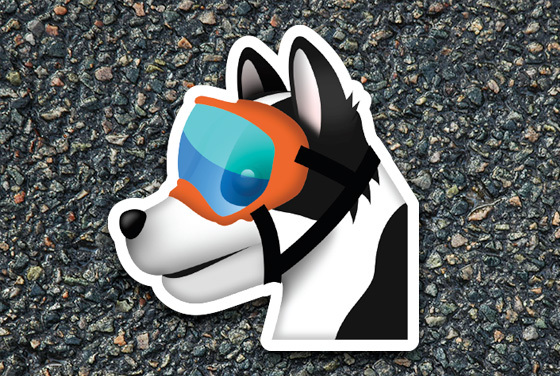 Show your appreciation for working dogs with this 3″ decal. Printed on white vinyl, this decal is weatherproof and able to withstand outdoor elements. 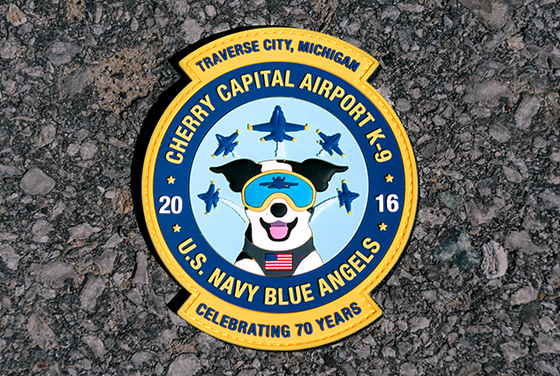 Made in the USA, this 7-color, 4″ PVC patch features K-9 Piper and honors the United States Coast Guard Air Station Traverse City. After all, he is the Guardian of the Guardians!